I should have just included this in yesterdays weekly recap, but the end of the month sneaked in on me. January was a month full of a lot of snow. There were no days where it snowed a lot, just a lot of days that produced a few inches here and there; ultimately, running was never hard to come by. I never really planned on starting the year running as much as I have, it just kind of fell into place. The majority of these miles have been spent on trails, grass, and gravel roads. Very few of these miles are on hard surfaces. 551 miles is the most I have ran in one month. During January, I also ran and won my first 50k. The added relief of not doing highly intense workouts has left my legs open for some longer runs. I must add that most of my running is slower now too, mostly due to the increase in mileage and the added difficulty on routes/terrain. February looks to be a month of no racing. I am fine with that. I have a hard time justifying traveling more than a couple hours to race a 50k, because I can simply drive out to the forest and put together a sweet 31 mile loop that provides the same benefits. Anything above that distance I am more willing to travel to race. 31 miles is a lot easier to run solo than 50 miles. Leading into the end of February and the beginning of March, I should be ready to rock out a good 50 miler down in Texas! Drove out to Forest after classes for the day. Good to be back for the semester. This day was a bit strange. A dog came out of the woods about 5 minutes into my first run and followed me the entire run and back to the house. Then on the second run, she followed me again. Decided to run in Portsmouth with the 4 o'clock practice. Most of this run was with Jeremy Anderson. Ran from the house before I headed to Athens for the GRE. After I took the GRE, I headed to Strouds Run for a half-light, half-dark run. I drove one of the vans to the Marietta Indoor Meet. I just ran with anyone I could as they were warming up and cooling down throughout the night. Ran to the Fire Tower, back to the house, around the trails, and back towards the Fire Tower and back. Met Keegan at Scioto Trails and did the loop that he did back in the summer. We kept a good pace on all the service roads, probably sub 7:00. The trail sections were not entirely slow either. This was a great run. This was a good week, the first week of the Spring semester. I have semi-sorted out where and when I will be running throughout the week and I like the amount of times I have scheduled for the trails. This will be the first time I could literally run on grass/trails every run of the week if I wanted to. Although my plantar fascia muscle has been nagging me this week, I am overall in good health. I have felt this type of strain before and it will surely go away within the next few days. It actually did not hurt today on the run. I also ran a little faster on a few of these runs this week, which means I recovered well after the 50k. Looking forward to another good week of pure mileage. Even though I normally would have made this day into a single longish run, I did run up some hills during both runs. Ran in Portsmouth with Erock. First run with him since before break. This is also the first time I ran this fast for this long since before break. After I got out of Great Seal I met up with Corey and Holbert and they were still needing to run so I though I would tag along. Thought they were only doing a few but ended up doing six. I'm not sure if I have ever ran three different times in one day, even though the last couple runs were within an hour from each other. Great Seal again on this morning. I was feeling particularly sluggish the entire run. Ran in town with some of the guys. There will sure to be a little race report coming within the next few days. This run was ran more for recovery purposes only. Stretched real good and did "looseners." This week was up and down. One good thing was the 50k I did on Saturday. It was my second ultra and I got first place. Still, I did not feel great during the race. Actually, the only time I felt good was on the uphills. I was happy with the way I was able to recover though. I ran two smaller runs today and it didn't really feel like I ran 31 miles yesterday. This week was about 15 miles and three hours longer than last week, so I am quickly jumping up. Maybe that is why I have been feeling a little sluggish lately. Got caught in the dark without my headlamp so I stumbled my way back to the house. AM: 10 miles (1:10:37). Peach Fork Rd. Last run in 2010! It was a good, fun year. Sluggish on this first run of the year. Drove back to Lucasville. Felt a little sluggish again on this run. It was nice to get back into the forest though. Non-snowy winter days might be my favorite days to run there. Since this won't conflict with track races if I DO decide to do any, I will be doing a couple 50k's early in the year. They are easy to travel to and I know the courses. This early in the year, it is hard to find a big ultra to do, besides maybe Bandara and HURT, but those would require extensive traveling arrangements, something I can't do right now. Even if they are small 50k's, it will be good experience and a fun time of running. Jan. 8: Last January I ran the Frozen Sasquatch 25k and this year I will be doing the full 50k. Since I won the 25k, I am able to race for free this year which is always good, and there are a lot of nice people from the Kanawha area that are good hosts. The course is challenging and if there is snow on the ground again, it will be a fun adventure. Feb. 12: I also did the shorter version of the 50k at the Louisville Lovin' the Hills race last year and will more than likely do the full 50k this year. It is a close enough drive from school, just like the Frozen Sasquatch, and these will be good little experience races, since I have still only ran one ultra. Like I said, this will probably be the way I go with racing. I go in and out with urges to run any track races in the Spring. March 12: One race that I could possibly consider running is the Land Between the Lakes 50 Mile. A couple of years ago I looked on the map and saw this area of land situated between two big lakes and ever since I have been interested. Then, I started hearing more about it and even that they had a race in the area. March 5: If I do not do Land Between the Lakes, it means that I decide to do the Nueces 50 Mile Endurance Trail Run. I found out about this race a couple of weeks ago because it is this years USATF 50 Mile Trail Championship. It is in Texas and is inconveniently a weekend before Spring Break but there is some money involved and it would be nice to go to Texas, I have never been there. I will keep an eye on this option for sure. Since I will most likely be doing a 50 mile in March, I will need a little time to recover, if I react the same way as I did after TNF EC. April will probably be a month of no racing. May 7: The North Face 50 Mile Regional - Bear Mt., NY. June 4: The North Face 50 Mile Regional - Washington D.C. I plan on doing one of the North Faces regional races sometime this year. They are all a lot closer to me than the one in San Fran.! July 30: Burning River 100 Mile Endurance Run. This is the one race that I will be looking forward to the most, regardless if I run track or not. Even if I do run track, my training will be good enough to do this 100 mile race. This is also a USATF Championship race. 100 miles seems scary right now, but I am really looking forward to getting into my first one. Plus, the course is in Ohio and probably less than a four hour drive. That means I could spend a couple weekends getting to know the course. That is of course, if I am still living in Ohio by then. After graduation in May, I'm not sure where I will be. After July: After the 100, I will see how recovery goes and decide on if I will race in the remainder of the year. This all seems so far away right now, but it's fun thinking about it. There are still the three remaining North Face races after July 30th and many, many, many 50 mi. or 50k's. If I decide to do track races I want to really nail it. I will have a big base coming in and I have a good idea of what I would want my training to mimic, which is the basic schedule of my cross country training last summer through fall. 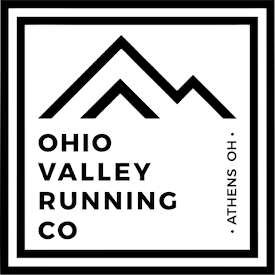 -From the time I started training for cross country last summer, it was 21 weeks until the All-Ohio Race, which was my best race of the year. There was only 8 weeks of work-outs, the time before was pure mileage and one little summer road race. -From when I felt recuperated after the 50 miler in December until April 8th, it is exactly 21 weeks as well, and also the date of the Duke 10k, which I did last year and was my best and favorite track race of my career. -If I would not do that race, I would go to April 29th and run the Hillsdale Gina Relays 10k, only if I could get into the elite race at night, which I would have no problem doing I imagine. -I would not do any workouts until 8 weeks before but really hammer in those 8 weeks. From now until then, I would simply run a lot of miles as I did all last summer. I do not think the two 50k's in early January and February will hurt me any. -Based on timing, I think the Gina Relays would work better for me. That means 8 weeks before the race would be March 7th and I would adapt cross country workouts and track workouts from 2010 and go from there. -Along with workouts, I would do a couple other races in the midst of those 8 weeks, and I know I can find a fast 5k that would fit my schedule. So in reality, if I am not fooling myself, it would only take 8 weeks out of my schedule and eliminate a couple of the Ultra's I am planning on. Pending on what the SSU team is doing, I could do some fast workouts with them and even travel to the races with them. I am not an expert in training for a fast 10k but with my race experience and confidence, I think I can PR. Eric Putnam has taught me so much in my four years at SSU and I know his training mixed with my mileage has produced results in the past. Things are bound to change throughout the year but at least I have all my options covered and whichever I choose, I will be happy with. As the semester of school begins and we get closer to the dates, I will surely make a final decision.